A broken windshield is not only a inconvenience, it also makes your car unusable. At Auto Glass Warehouse, we know how important it is to you to have the use of your vehicle at all times. That’s why we offer fast, convenient auto glass replacement service on site at our main office in Fort Myers or to your work, home or play! 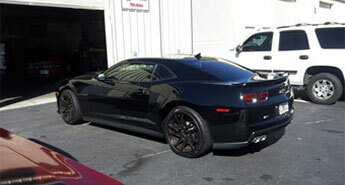 Our technicians adhere to ALL AGRSS(Automotive Glass Replacement Standards) standards. They are all also NGA certified. Passing an NGA certification examination means that our technicians have met agreed-upon industry standards for knowledge in the field of glass replacement. They will receive a certificate, an identification card and six uniform patches that attest to their successful performance (passing score) on the examination. This NGA certification guarantees that our technicians will provide you with excellent quality workmanship. If your windshield is broken, you will want to call our office as soon as possible to have it replaced. Our staff will be able to quickly assist you in setting up a insurance claim or self-pay appointment and get a mobile technician out to your location as soon as possible. 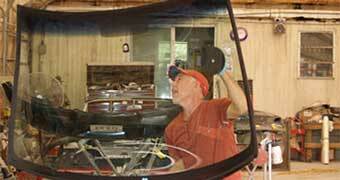 A delay in a windshield replacement can be far more costly than you may think. Your auto glass replacement needs to be done quickly for many reasons. The most important reason is safety. Your windshield provides up to 45 percent of the structural integrity of your vehicle in an accident. In a roll over, it is crucial that your windshield be in top shape, so as to help the roof and sides of your vehicle not be crushed as much. Therefore, a broken windshield puts you and your passengers at severe risk of injury if an accident were to occur. The second reason is that a broken windshield makes it very difficult to see from. The break can decrease your ability to see well while driving, making it more likely to judge distance incorrectly, miss seeing objects in your path, or cause an accident. Lastly, a broken windshield can be costly if you are pulled over. Under penalty of law in the state of Florida, a broken windshield is considered a unsafe driving hazard and punishable by ticket. If an office pulls you over for a broken windshield, you will be ticketed. Sometimes, the officer may even have a contingency on your ticket for the length of time you must have your replacement done in. Do not risk your safety or wallet. Instead, call us today at one of our local offices for a expert replacement. We will get you safely back out on the road in a prompt fashion. To make sure that we have the proper windshield for your vehicle, there are a few things to consider.